After visiting a relatively nondescript part of the country, the flight back over the Cascade Mountains provided a great reminder to appreciate home even more. Seeing the long stretch of dry eastern Washington and Oregon start shifting into the pretty slopes and vistas of the Cascades is a great welcome mat. 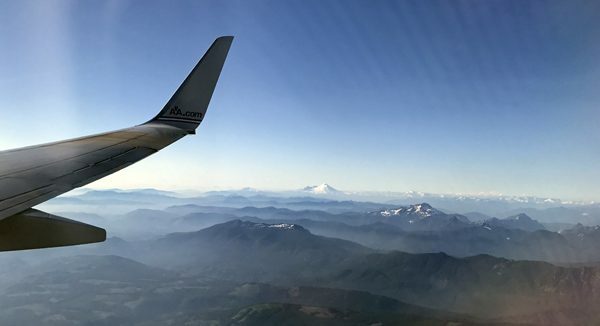 Mt Baker, Mt St Helens, and Mt Rainier serve as welcome home ambassadors. Love where you live whenever possible!